Super Bowl Party Menu tops our Favorite Links of the Week. While anticipation is gaining momentum as to the Game Day outcome, it’s also about the food! 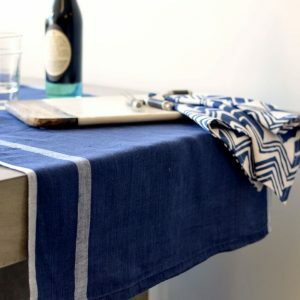 And that flips the playing field to menu planning for some of us, either hosting or being a guest. For instance, what to serve, when to serve it and how to create an enticing menu for a Superbowl get-together. First up, over 50 hearty starters from FoodNetwork.com, Game Day Party Recipes. 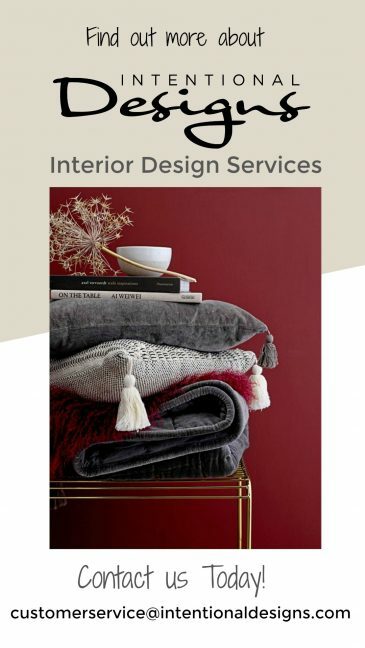 With over 50 Recipes you are bound to find something to serve or bring as a guest. 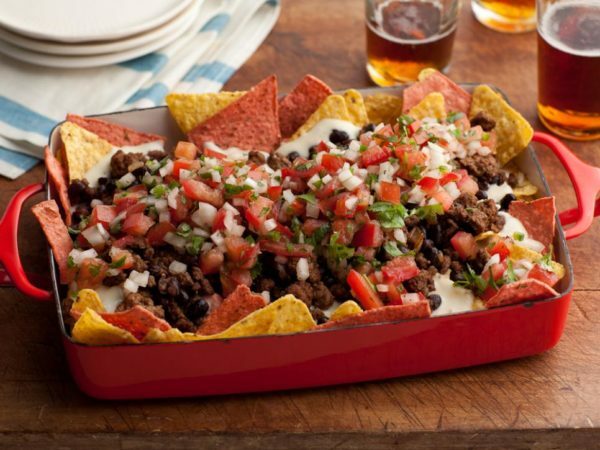 Personally, the Super Nacho’s from Rachael Ray’s playbook look really good to me! Second, serve a healthy alternative for your Game Day main meal, Coconut Beef Skewers with Broccoli Slaw from DoctorOz.com. Finally, Go Big -or- Go Home! From blog site, PreppyKitchen.com full of delicious baked goods from luscious cakes to cute cookies. But this Marshmallow Brownie looks so amazing, especially for a crowd. So whether you are hosting or bringing, my bet is on this dessert as the definite winner! All in all Super Bowl Sunday is a fun time to spend with friends and family no matter who ends up with the ring! And with this menu, it’s easy to get everyone off the sidelines, from making nacho’s to popping skewers into the oven. Also, save your timeouts, marinate the beef while whipping up brownies & coleslaw ahead of time. Lastly, avoid penalties by creating a menu play book, allowing you to enjoy the day, clearly giving you the Win! 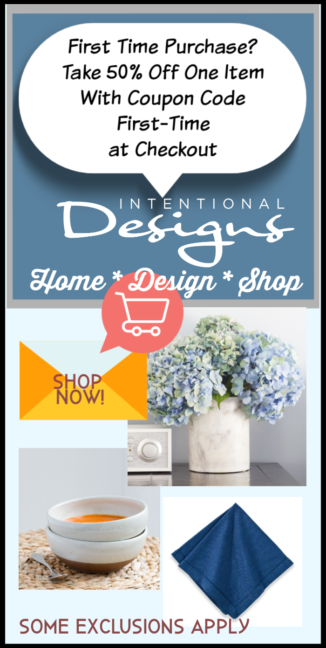 Visit our Home Design Shop @ IntentionalDesigns.com for beautiful home decor products!